I did not hear a crowd of people on the audio recording that I enhanced of former Los Angeles Times freelancer Ted Rall being ticketed by an officer for jaywalking. I heard two people other than Rall and the officer talking on the recording. At most, I could make out the word “jaywalking” being spoken by one of the two people. I did not hear anything about “handcuffs” on Rall’s enhanced version of the recording or on the version that I enhanced. We have an established chain of custody of this recording by the Los Angeles Police Department since officer Willie Durr recorded it in 2001. We have no signs of tampering anywhere in the recording. I found no evidence of tampering when I performed my authentication test. I have created the following video to clear up these misunderstandings as well as clarify the actual results of my investigation. One of the most common audio issues with audio enhancement is noise. Noise and other extraneous ‘unwanted’ sounds make up the noise floor in a recording. Unwanted sounds interfere with the wanted sounds. Removing the unwanted sounds and raising the intelligibility of the wanted sounds is audio enhancement. A noise floor is usually consistent throughout the recording and can be removed to varying degrees by a trained audio expert using software. The most complicated issues are the unwanted sounds that are not continuous. These sounds could include anything from a plane flying overhead to someone whistling while people talk. It is harder to pinpoint these sounds. A spectrogram is used so the audio expert can see and hear the unwanted sound allowing the expert more options for removal. A spectrogram shows both the frequency content of a recording and the level of those frequencies over time. It may be the most helpful tool to an Audio Expert because it presents all sound throughout the recording in one view. The spectrogram allows the expert to identify and address individual unwanted sound in the recording. With the right software, these individual sounds can be selected and removed without affecting any other part of the recording. It is important to remember that there is a right and a wrong way to do this, which is why only a trained Audio Forensic Expert should be hired to complete an enhancement for use in court. When processing audio, it can be easy to introduce artifacts to the recording. Artifacts are unwanted noise that is produced from various processing and compression techniques. Considering the goal of an audio enhancement is to eliminate extraneous noise, introducing artifacts is the exact opposite of what you want when working with a recording. Many things can introduce artifacts, but the simplest way to describe the cause is over processing. By over processing, I mean using extreme settings within individual audio tools. For example, I often work with audio evidence that is extremely quiet. This often requires a gain increase of portions where only voice content exists. If the gain is increased too much, it can cause clipping of the audio output. When this occurs, the edges of the waveform are essentially clipped off, producing a distorted and noisy audio signal. The end result is a less intelligible voice than the original, essentially defeating the purpose of the whole process. When adjusting individual ranges of frequencies on the spectrogram, it is very important to be aware of artifacts. Being able to recognize artifacts and know the limitations of what processing can be done is what makes an Audio Forensic Expert necessary. When isolated portions are processed with a trained ear and the right knowledge, noise can be eliminated and voices can be brought out without introducing any artifacts. I recently worked on an audio recording that had a siren present during a portion of talking. Because it was so loud, it made the underlying dialogue difficult to hear. Luckily, the siren could be isolated in the recording. By selecting only the siren and then decreasing the gain a moderate amount, the voices became more audible while still avoiding any artifacts. Audio Forensic Experts have a plethora of tools at their disposal, which is making audio enhancements more and more effective. There are some things to be cautious of when enhancing audio. This is determined on a case by case basis. Any technique that is taught in training should be used as long as the technique is accepted in the scientific community. The audio enhancement process is the number one forensic activity at Primeau Forensics. Audio enhancement, or sound enhancement, questions and assignments come into our offices daily from around the world. Audio enhancement helps people better understand words that were recorded but not clearly heard. Last November I was asked by Jeff Morley to combine two versions of the Air Force One recordings from the day John F Kennedy was assassinated. Once my team and I had the recordings combined, the next step was to work on the enhancement process. As an audio forensic expert, audio enhancement is one of my favorite forensic activities. This is likely because when I started my career as an audio engineer, one of my first assignments was with the FBI. The experience was extremely rewarding because the two Detroit agents that came in to our recording studio, Ambience Recordings, were very appreciative and complimentary. I took an audio recording and used tools to reduce the unwanted background noise and enhanced the speaking portion of the recording. Audio enhancement is both an art and a science. It is an art because as forensic experts, we have tools like noise reduction, equalizers and compressors we use to create with similar to an artist who has paint, brushes and a canvas. We use these tools and artistically repair sound from sounding poor to enhanced and clear to better understand the speaking portion of the recording. 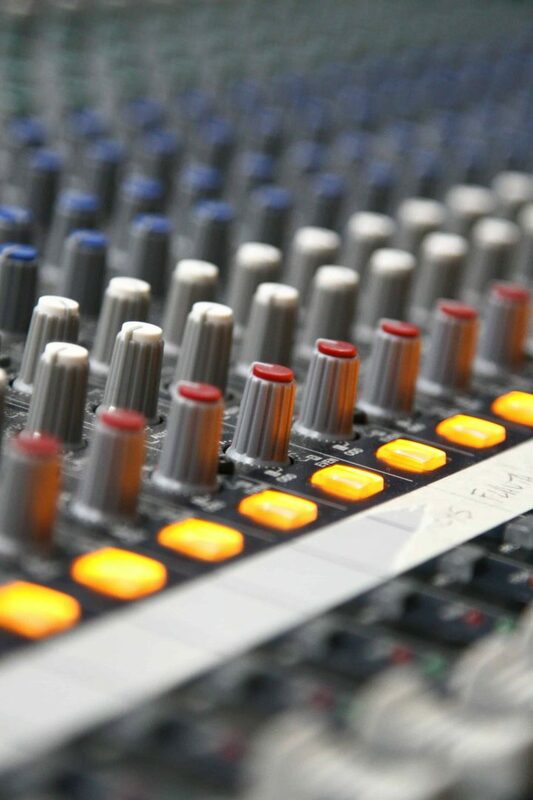 Audio enhancement is a science because the tools have to be scientifically calculated and applied in specific orders depending on the experimentation with the order of application and the results from each application. I find myself using ‘control Z’ quite often during sound enhancement processes. Clients from around the world, including police departments and private individuals, use digital pocket recorders to document and preserve a confession or other event in order to refer back to that event at a later date. The problem is that some of the time their recording does not go as planned. Background noise interferes more than planned because recorders pick up unwanted sound. Digital audio recorders do not record in the same manner that our ears perceive sound. When the digital pocket recorder is taken back to have the recording downloaded to a computer, the unwanted background sound is much more obvious then when the recording was created. This is where our services as an audio forensic expert are sought out. After 30 years, we have become quite good and pretty quick at enhancing audio. Our speed and accuracy saves our clients money because many forensic experts take long periods of time applying various tools by trial and error. We, on the other hand, have the ability to recognize a noise situation and determine the order of processing necessary for audio restoration in a short period of time. In fact, we have started a service that accommodates our clients financially. 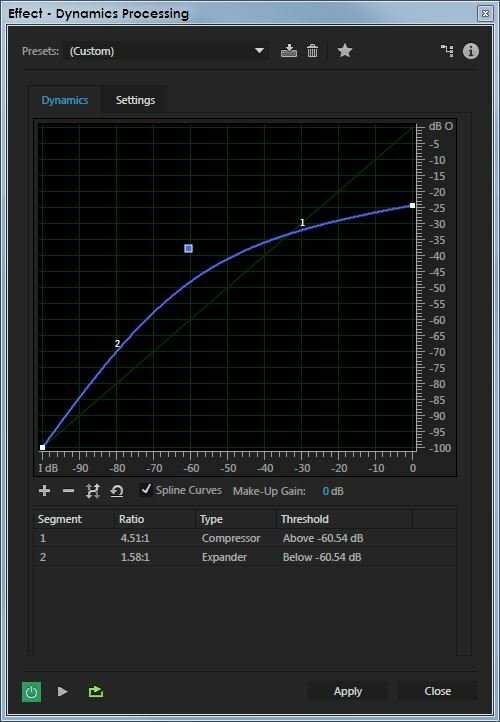 Clients often have much higher than normal audio enhancement expectations. They hope the impossible can be made possible. Even the best forensic experts at Primeau Forensics cannot restore all sound to our client’s expectations. This is why we have implemented a preliminary investigation process. This process allows us to send a sample of the restored recording to our clients to show them what is and is not possible. That way we can learn for a lesser rate if we can meet their expectations for audio enhancement. I am proud to say that in many cases we meet and even exceed their expectations.